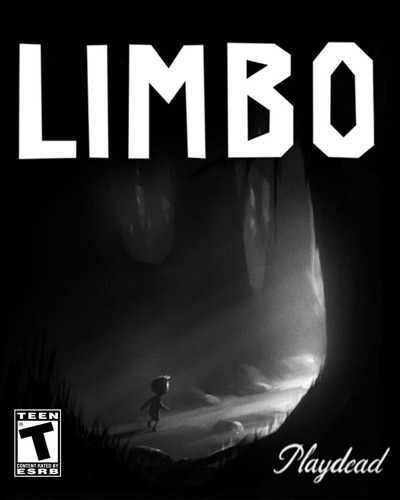 Limbo is an Adventure, Puzzle and Platformer game for PC published by Playdead in 2011. It has won more than ten Game of the Year awards! Help the little boy to find his sister in dangerous areas. Love of his sister takes him to the hell named Limbo. No one has entered these lands, Be careful! So many dangers threatens this boy, But he never gives up. He just want to find her with any ways. Most of the environments are in dark jungles with lots of wild animals. But the animals aren’t your only problem. There are lots of obstacles all over these lands. You may need so much time to find the passway. At first look, This game may seem tragic but it’s not like that. The puzzles have made the story amazing. By passing each level, Players will be much interested to continue. All of the environments are in black and white. No other colors can be seen at them. This kind of coloring have made Limbo a masterpeace! If you really want to enjoy this game, Don’t care about the graphics. The gameplay is awesome and makes any players be interested at Adventure titles. After starting the story and entering the dark world, Everyone may lose for the first time. But don’t worry, There is a checkpoint system at each level. It means that the level won’t start from the beginning. Also there is no loading system! You don’t need to wait for any part of the game. Story consists of Chapters. Every chapters occurs in a different place. PC version of Limbo has better graphics than mobile versions. But there is no change in the gameplay. 51 Comments ON " Limbo PC Game Free Download "
is this illegal in any country? The name of this page is a password itself. I don’t know why nobody checks the password. Its written right there! wait so whats the password? does no one even check??? the password is right there on the page! password is wrong damn IT. it has high risk of trojan virus.access is denied. I can not download the game for command displays the file is broken … What should I do? I’ve the last directX and the last update.. showing d3dx9_43.dll error, where is the problem?? Please upload more indie games like “Inside” in that little size. Ur site is amazing I found limbo in 177.6 mb in other websites/blog. The password is “www.freegamesdl.net”. It’s not a link, it’s actually the password. Just type it. Thx !!! Limbo is a great games. There are several levels that are quite difficult to resolve. Problem Fixed: Some of u guys must have faced with the dll file that was missing.. so what u gotta do is type the dll in the browser..click the first site that it dl files.com from there u can get any dl file..but carefully choose ur bit..whether 64 bit or 32 vit.. after downloading paste that dll in the limbo folder and thats it problem solved thanq ! !